An unforgettable holiday is awaiting you in Fethiye where the green and blue meet. With its beaches, small bays, islands, historical sites and unmatched nature, Fethiye is a perfect destination for holidaymakers. 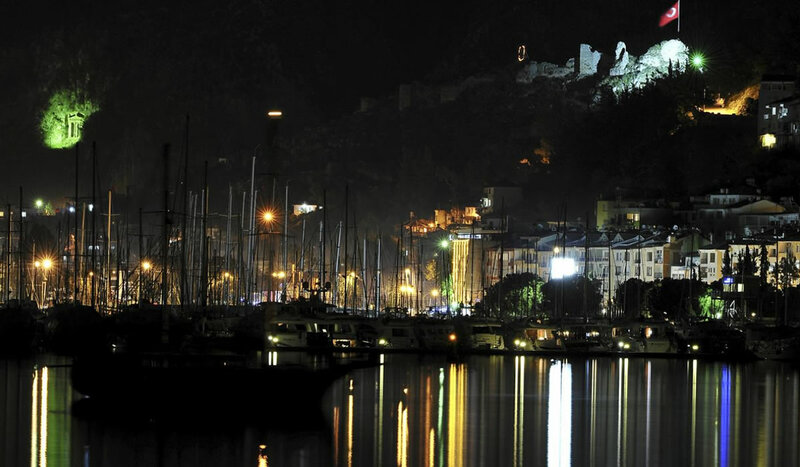 Fethiye, which was founded by the Lycians, also accommodates numerous historic remains. In addition to the world famous Ölüdeniz Beach, other famous beaches such as Çalış Beach, Kabak Bay and Butterfly Valley are also in the area. Paragliding from the slopes of Babadağ will be one of the unforgettable memories of your holiday. In your visits to Saklıkent, Yakapark and Kaya Village, you will witness the unique nature and history of Fethiye. If you want to discover the area, we will be waiting for you here. It is the first ancient settlement in Fethiye. Fethiye is the only centre where settlement has continued since the day it was founded on the coastline of Mediterranean and it was formerly known as Telmessos. Renovation works carried out by the government still continue. The first museum of Fethiye was opened in 1962 and all the artefacts that have been found since then are gathered here. Located on 3500 square meter area, the museum has a rich history. Most of the exhibited artefacts are brought by the people or discovered in excavations around Fethiye. Rock Tombs in Fethiye city centre are Lycian tombs cut into the mountain. You can access the tombs by climbing up two hundred stairs. 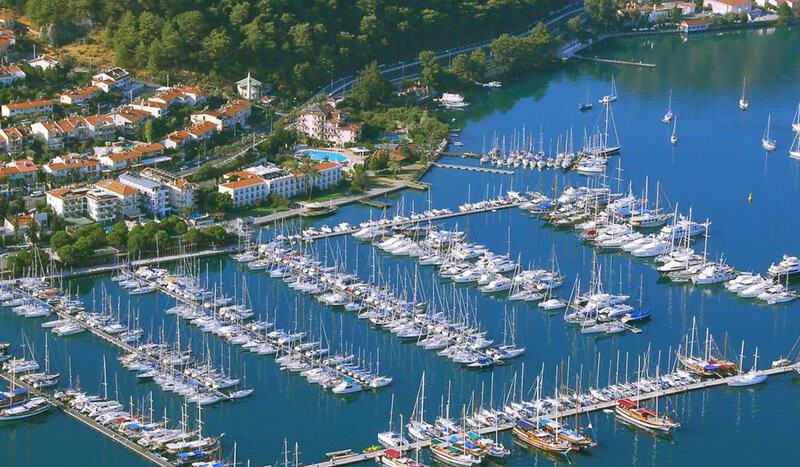 One of the most beautiful bays in Fethiye, Kuleli Bay offers many opportunities to have a wonderful time. Live music, restaurant, beach bar, sunbathing area, mud bath and water sports are the activities available in the area. Two of the bays which are nearest to the Fethiye city centre, Küçük Samanlık and Büyük Samanlık Bays attract the local people especially. These beaches on two different bays also have picnic areas. If you want, you can camp here as well. 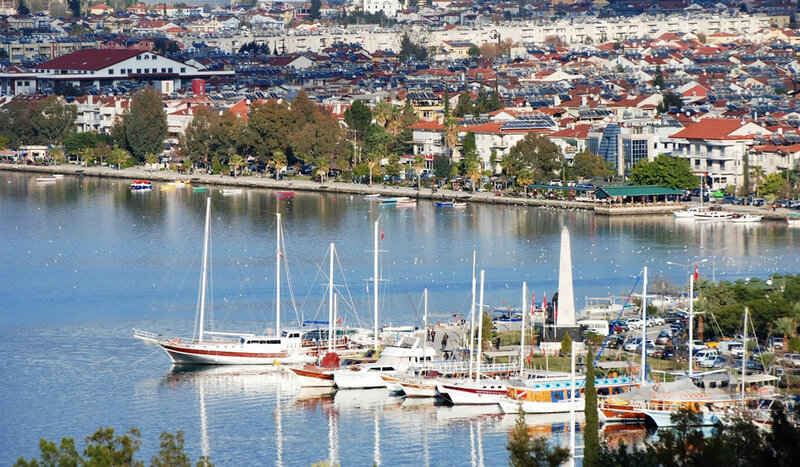 Fethiye is located on the shores of Mediterranean and the coastline offers a unique scenery. There are many restaurants and cafés on the coastline. You can drink your tea while watching the amazing sunset in Fethiye. You can also work out along the coastline where walking, running and bicycle tracks are available. According to a story, Saklıkent was discovered when a shepherd walks into the canyon to find his goat. Later the shepherd tells the incident to the authorities and Saklıkent was announced as a National Park in 1996 with an announcement in the Official Gazette. Saklıkent Canyon is on a 12.390 hectare area. It is a canyon created by the Karaçay which is a tributary of Eşen Çayı which draws the border between Muğla and Antalya. It is 18 km long and its width varies between 2 m and 200 m. The current is strong and it is impossible to stay in the freezing cold water after some time. Tloss is one of the largest cities of Lycian League. The legend about the foundation of the city dates back to Hellenic myths. It is one of the Lycian countries on the steep slopes of Akdağ, which is the highest mountain in the area. Spread on a broad geography, Tloss also contains a great history. The city located in Yaka Village is 42 km from Fethiye city centre. If you happen to be in Fethiye, Yaka Village is one of the places that you must visit. You will be fascinated by its natural beauty and vast history and geography. The Ancient City of Tloss is also here. The most famous restaurant and tourist attraction in the village, Yakapark consists of waterfalls, authentic pools, trout farm and lounges placed on oak trees. Setting off at the Fethiye Harbour, the boat trips are available every day in the summer season and they start at 10.30 and end at 18.00. Prices are affordable and include hotel transfers and lunch. 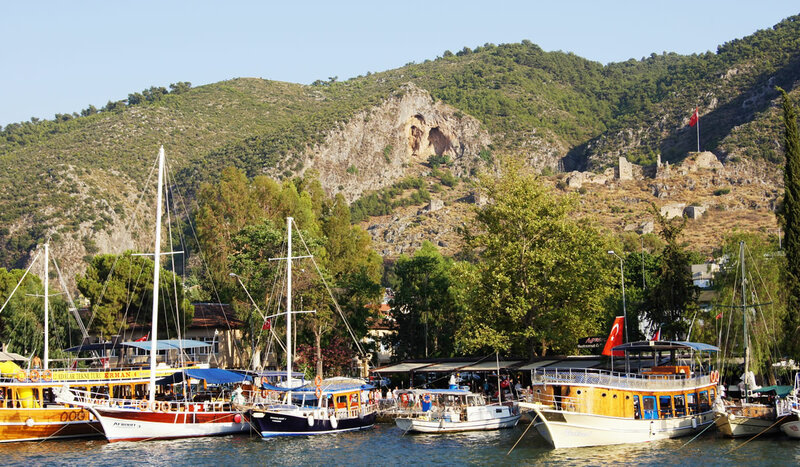 On these tours, you would have the opportunity to see many islands around Fethiye. The captain stops at each island and allows you to discover the island. The most famous and largest public market of Fethiye is only on Tuesdays. Established on the large area near Fethiye Forestry Administration, the market opens early in the morning and welcomes its guests until the end of sunset. You can find anything here from vegetables to clothing. Also you would have the opportunity to taste the traditional food prepared by the local hardworking women. We strongly recommend that you visit the market.